Steve Barcellona Teaches You How To Energize Any Audience! Through Conjuror Community we get to share the magicians that excite me our members. It’s one of the best parts of the job! In this video interview, you’ll meet one of our favorite magicians. And unless you’re a Conjuror Community Member, it’s likely that you’ve never heard of him! His name is Steve Barcellona. In this video, he shares the single most valuable strategy you can use to energize ANY audience. 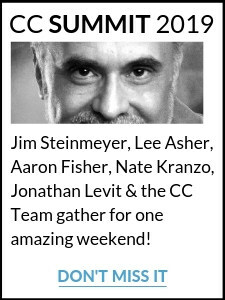 Click here to find out more about the CC Summit! Professional magician Steve Barcellona gave his first Conjuror Community Workshop 3 years ago. In that time, he has armed our club members with a treasure trove of practical miracles. Some magicians focus on developing a ‘character’—and some focus on the ‘effect.’ Steve Barcellona goes directly for engagement. “Magicians focus on all kinds of different things. For example, some concentrate on expressing their personality. I build effects that focus on developing my relationship with the audience. Doesn’t that mean ‘audience participation? Sure, but it’s more than that. When we build Engagement Effects, we don’t think of the spectator as a mere spectator. They’re not a prop! Instead, we view them as our scene partner. It’s as if we were acting in a play together. We want to create a situation where they can respond; where they must react. So we make choices that allow them to react in many different ways. Now the first and most important thing is to choose a plot that facilitates this freedom. For example, I love Terry Seabrook’s Burned Bill Routine. It’s the archetypal Engagement Effect. I’ve been performing my version of this routine for years, and I do it at every show. This routine encourages freedom and engagement like no other. First, an audience member lends you a $100 bill. Let’s call him Dave. It’s real money—and David really cares what happens to it. Already, he’s engaged. He’s invested. And everyone watching can feel that—so they’re engaged too. I seal Dave’s bill in an envelope and openly place three blank slips of paper in three more. Now I propose a game where Dave attempts to eliminate the three envelopes that do NOT contain his money. He selects an envelope to eliminate, and I destroy it. But it seems something has gone wrong. Dave sees me destroy what he thinks is the REAL bill. It seems like a horrible, shocking accident. And now the routine becomes an improvisation. When Dave sees his money destroyed, that’s the set-up. He can react in so many ways. He can get angry. He can laugh. He can cry. He can freak out or cause a scene. And every one of those responses fuels the show. I don’t know what Dave going to do. But he is my scene partner, and I’m going to work with whatever he does! For the audience, this makes for a show that feels unique and alive. Everyone in the room feels like this unique show has NEVER happened before. I even feel that way myself, though I’ve done this trick hundreds and hundreds of times. 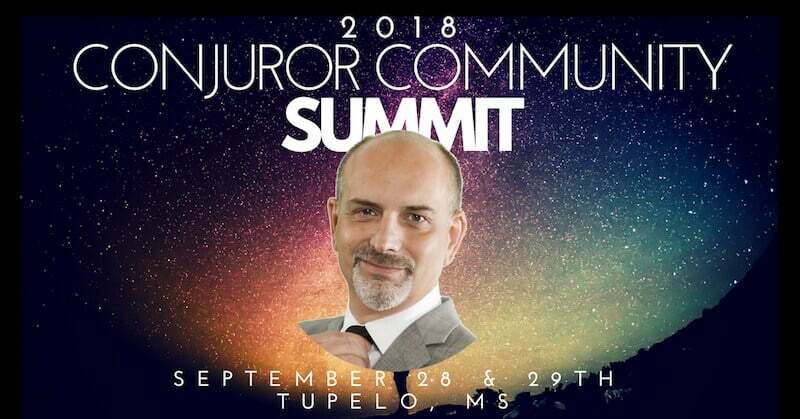 Steve Barcellona will be appearing at this year's Conjuror Community Summit on September 28th & 29th. Click here to find out more about the CC Summit!